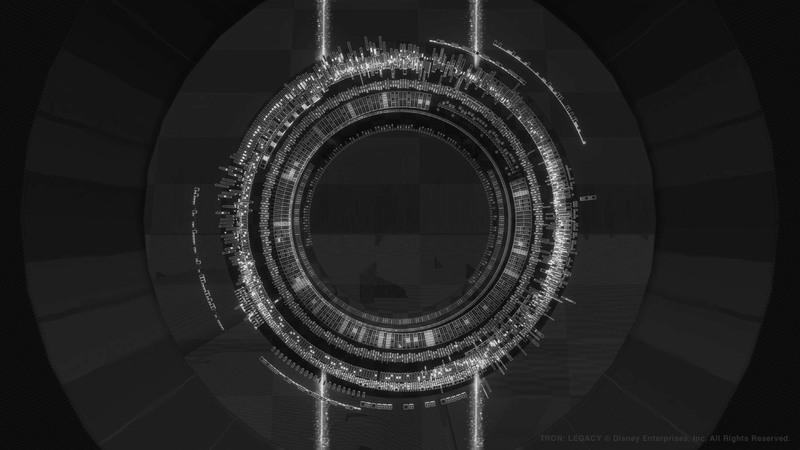 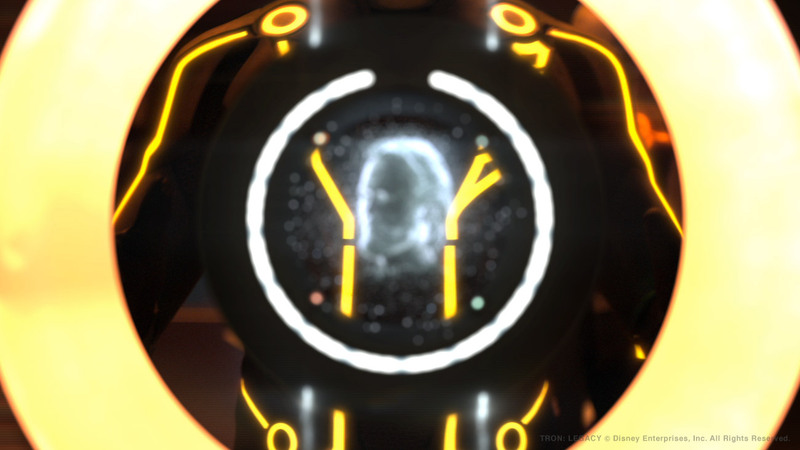 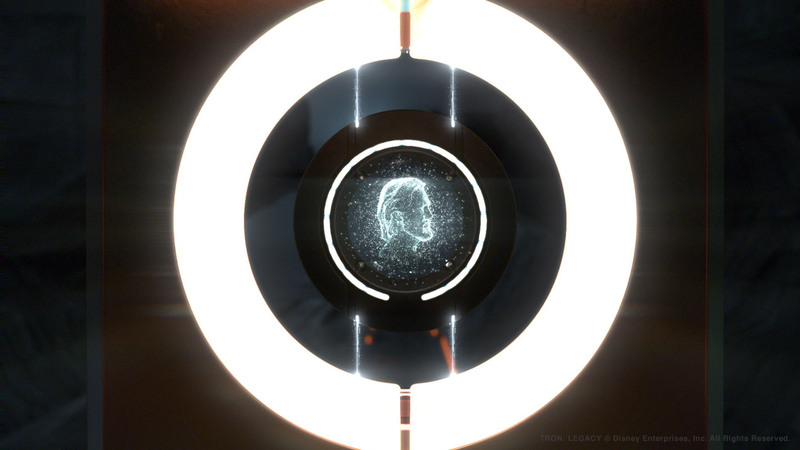 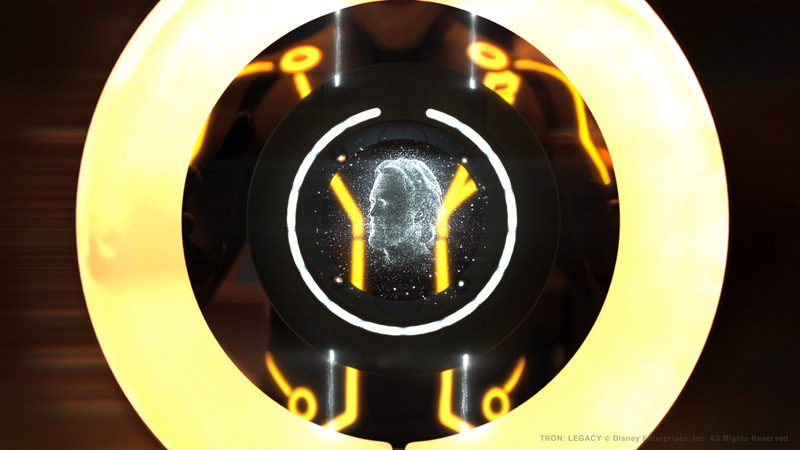 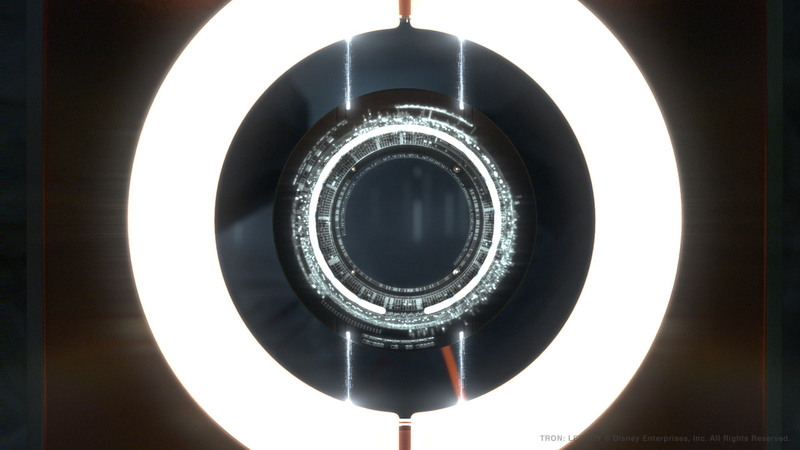 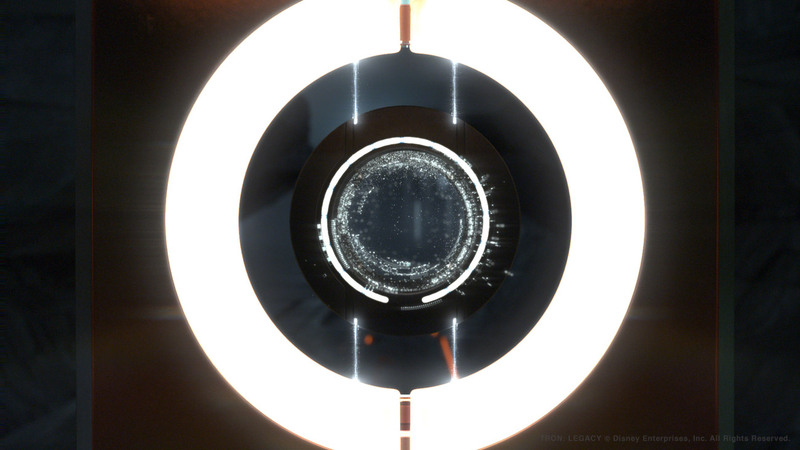 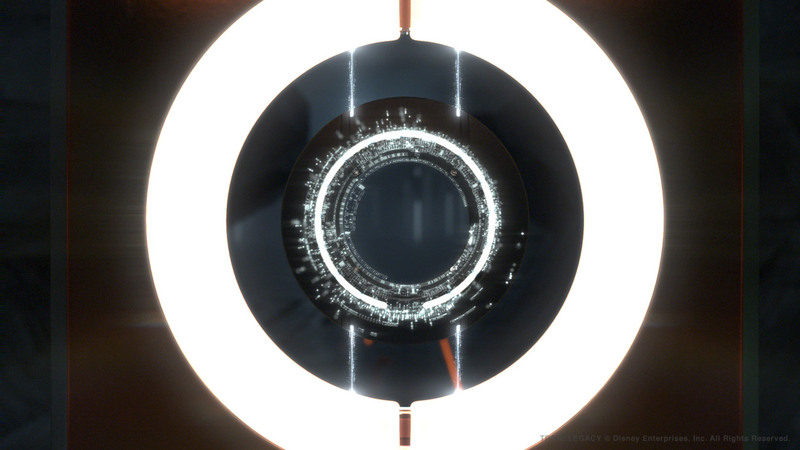 The disc extraction scene inside CLU's Rectifier Ship provided our graphics team the chance to visualize the intricate complexities of Flynn's identity disc during extraction. 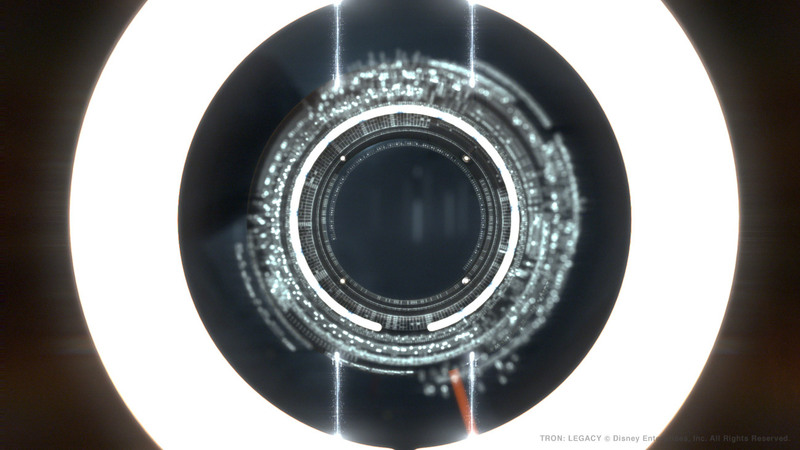 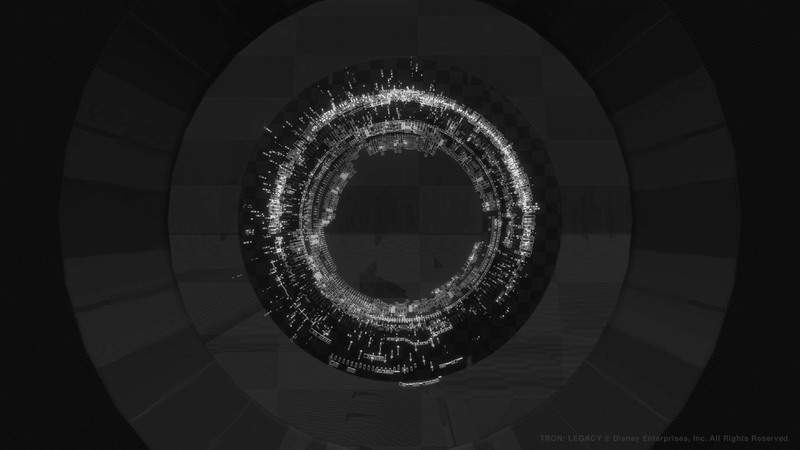 After researching a wide array of disc drive fragmentation diagrams and data packets, Gmunk and I began design explorations to visualize what this vast amount of data that forms the TRON universe might look like. 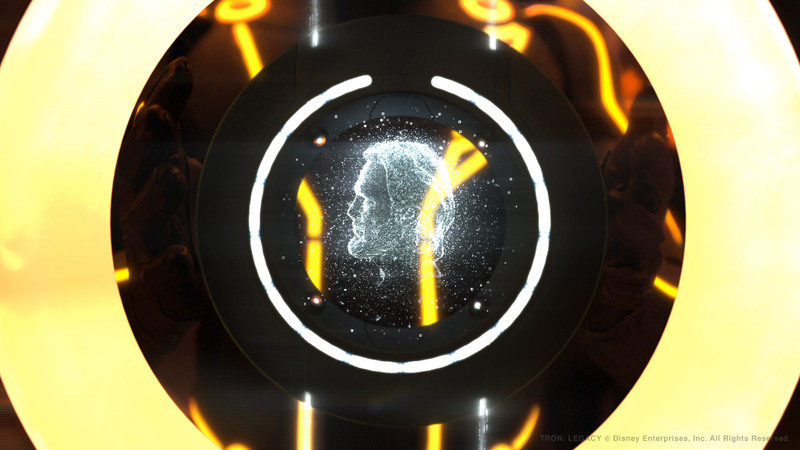 Using Cinema 4's cel renderer and explosion fx, I was able to create the intricate ordered and unordered data packets around concentric rings that spread out in z space with the ghost of Flynn's likeness being manifest through infinitesimal points of light. 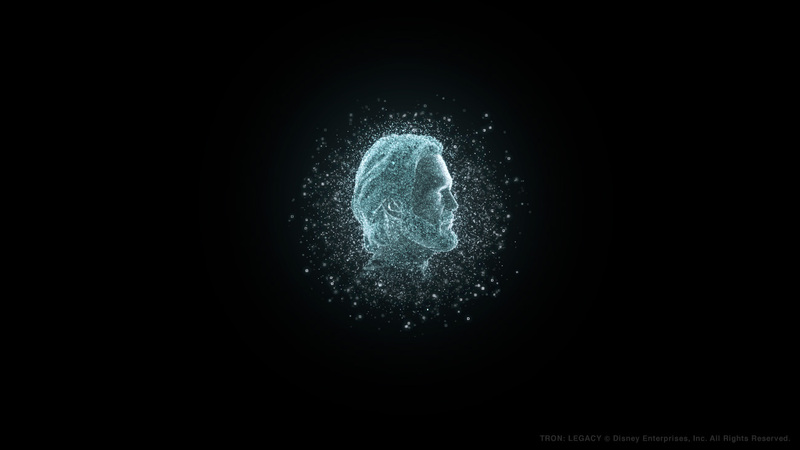 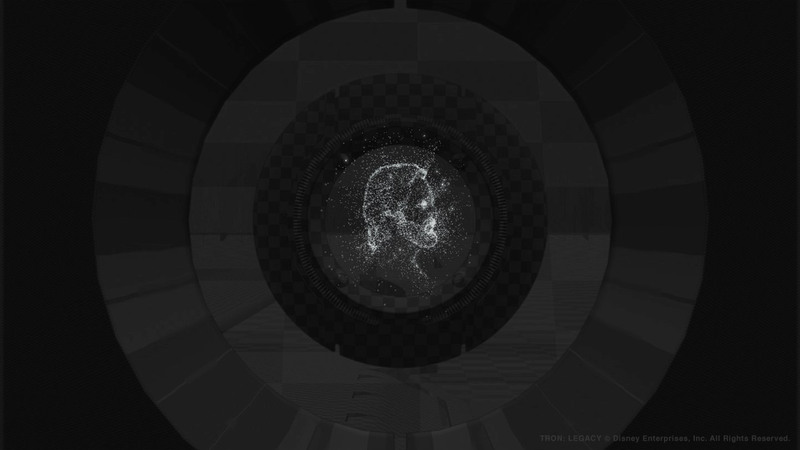 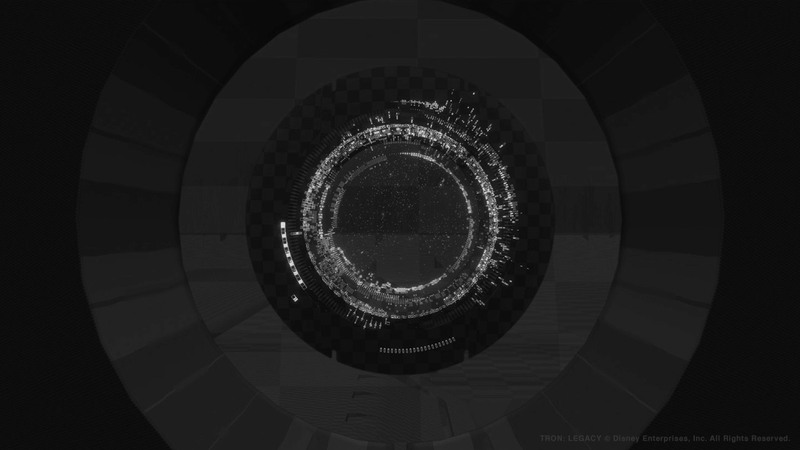 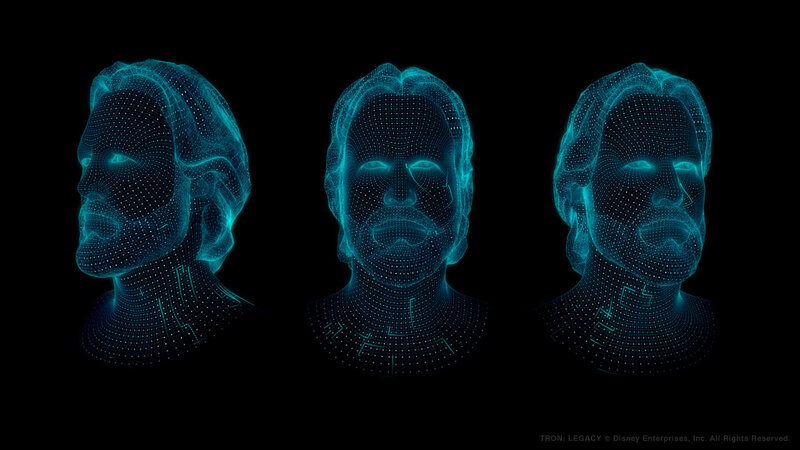 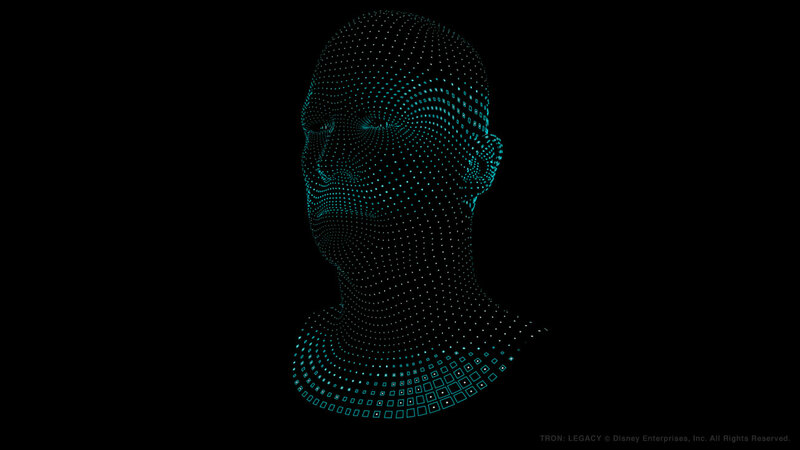 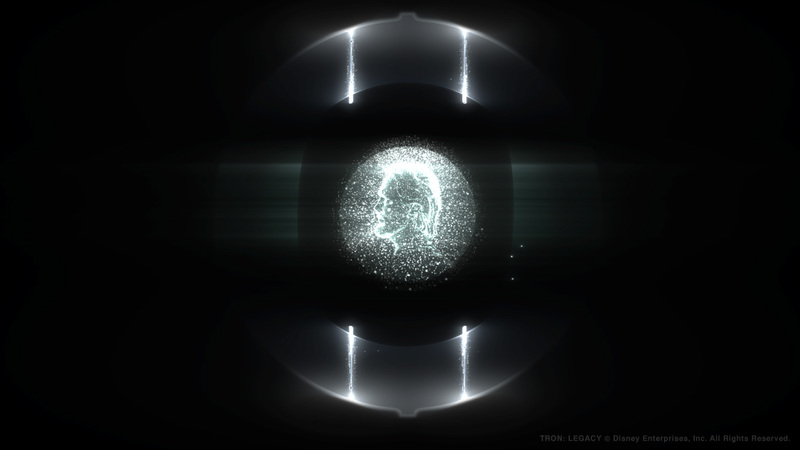 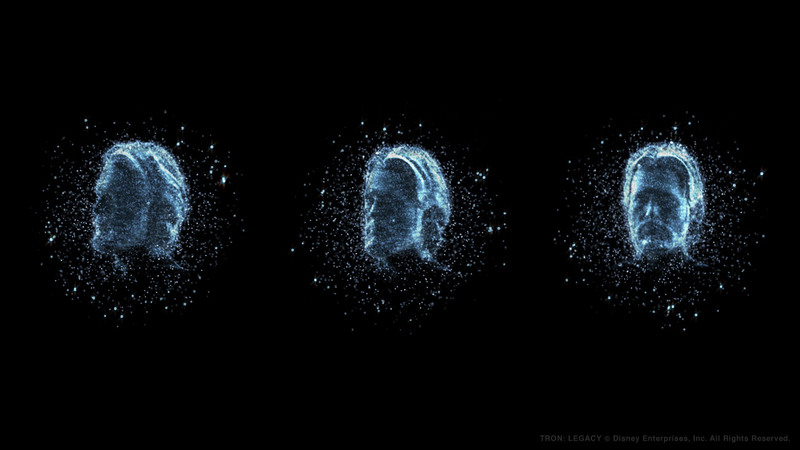 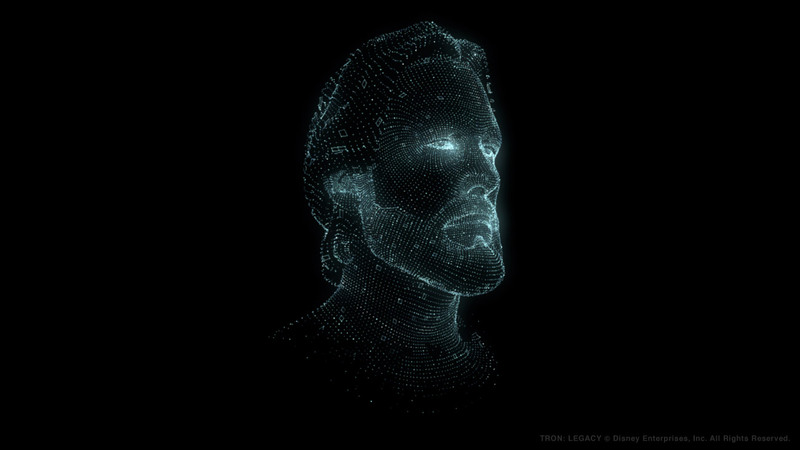 This process trontage shows just a fraction of the design and animation explorations that ultimately culminated in two final shots with the disc data extraction, Flynn light particles, and the reorganization of the tiny disc data providing CLU the powerful code to take over Flynn's universe.